The F.L.Y. Series is Liquid Force's premier performance lightweight board. Our goal at Liquid Force this season was to make the lightest boards possible. We took our top high-end pro model board shapes and made eight new lightweight boards that feature completely new core technology and a patented internal stringer system. 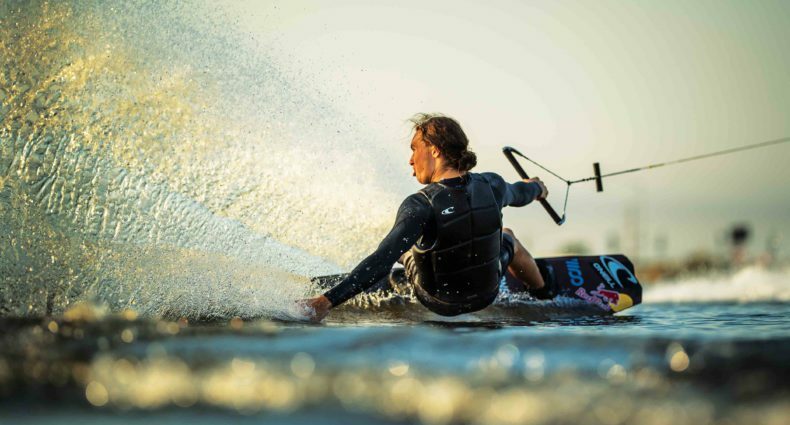 This series is Liquid Force's most aggressive wake to wake machine with a snappy performance and smooth feel. Performs equally the same for a legend and the average rider. If you are looking for the lightest and highest performance board you can find then TRY THE F.L.Y.! 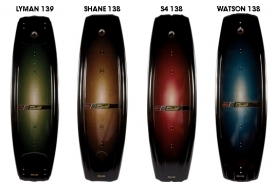 Whether you want the all around smooth feel of a Watson, the fast and explosive feel of a Lyman, the playful yet aggressive feel of a Shane, or the aggressive yet forgiving feel of Phillip’s all new S4, the F.L.Y. Series is guaranteed to take your riding to levels never experienced! – Compressive strength without the dead weight in the center- A new construction process to yield the lightest Liquid Force boards EVER! – Less Material equals less weight! Available at select Liquid Force dealers and online at Liquidforce.com !